The demand for minimally processed packaged food & beverages and protection of medical and cosmetics from microbial activities is rising considerably. Initial packaging of these products basically provides protective and barrier functions against physical damage, also providing ease in transportation. Growth of microorganism in food products leading to spoilage and health issues raised concern for the food and other products safety and quality. To overcome these packaging challenges, active packaging or antimicrobial packaging was introduced, where different active anti-microbial substances are diffused into the packaging material to improve its quality and functionality. The main objective of antimicrobial packaging is to attain high quality, long shelf life and safety by tumbling or inhibiting the growth of microorganisms, which may be present in the packed food or the packaging material. 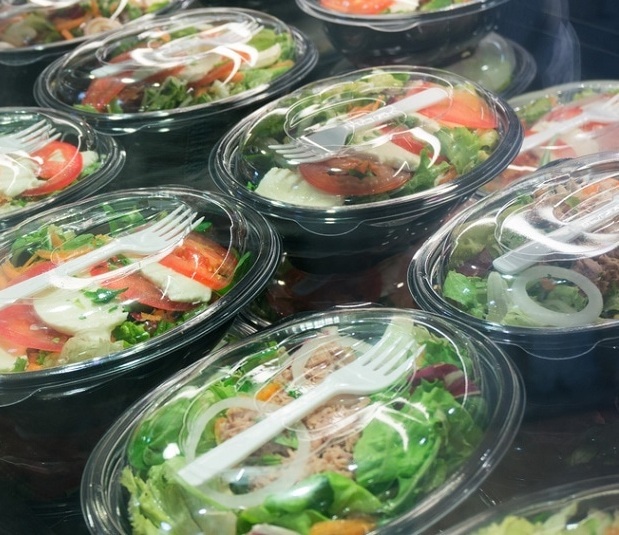 Rising health consequences among consumers regarding the added preservatives in food and quality of consumable products has significantly bolstered the demand for antimicrobial packaging materials. Maintaining product quality and to increase shelf life of the product are two key factors for the growing demand of antimicrobial packaging materials in packaging industry. Global presence of major brands of Food & beverage industry propelled the demand and growth of packaging materials. Additionally, rising awareness for the quality and health concerns regarding the consumables food items fueled the demand for antimicrobial packaging materials in the packaging industry as it increases the shelf life and quality of product. For instance, over 7 million tons of food is thrown away in U.K annually, majorly due to the spoilage and short shelf life of a product. Microbial activity is the major reason for the spoilage of food, which is driving the growth of antimicrobial packaging materials to curb the spoilage and wastage of food. Pharmaceutical and food & beverage industry will lead the growth of antimicrobial packaging market with the pharmaceutical industry expected to be fastest growing owing to changing healthcare needs of ageing population, chronic illness and increased usage of temperature sensitive drugs. However, stringent rules and regulations regarding the non-biodegradable materials such as plastic which is the major part of antimicrobial packaging and addition of antimicrobial agents in food and packaging materials is the major growth restraining factor of antimicrobial packaging market. Additionally, high cost related to the manufacturing of antimicrobial packing materials and huge R&D investments to meets future demand is the major factor restraining the growth of global antimicrobial packaging market. In 2016, packaging industry was valued USD 600 billion in which antimicrobial packaging share was only about 2.06%. Global Antimicrobial packaging industry valued USD 12.4 billion in 2016 and projected to reach USD 19.4 billion by 2024. North America accounted for the highest share of antimicrobial packaging material market for more than 30% in 2016. North America antimicrobial packaging industry is growing on the back of rising health concerns regarding the effects of food packaging materials on health and growing importance of antimicrobial packaging in pharmaceutical industry. North America is closely followed by the Europe with more than 28% revenue share in global antimicrobial packaging market. Asia Pacific is the largest market for packaging materials but constitute minimal share in antimicrobial packaging material as compare to North America and Europe. Asia Pacific region is the fastest growing market, which is anticipated to expand at a CAGR of more than 9.0% during forecast period i.e. 2016-2024. The importance of sustainability will grow right along with rapidly growing demand for food and beverage packaging materials in Asia Pacific region. 7.2.7. Olpon Pure Sciences Ltd.